It’s hard to believe that in just a few short weeks the kids will be heading back to school. Each year summer vacation seems to go by too quick, but this year it went especially fast with the birth of our third child. Receiving the school supply list this past week really put things into perspective that I will soon have a third and first grader. There is still so much to do in the next couple of weeks including shopping for backpacks, lunch boxes, and school supplies, but one thing I can check off the list is back-to-school clothes shopping for Jonathan. Kick-start the new school year with back-to-school shopping at OshKosh B’gosh! With a newborn in the house who has been receiving endless amounts of attention from friends and family I decided to take Jonathan out school shopping by himself for some one-on-one time. 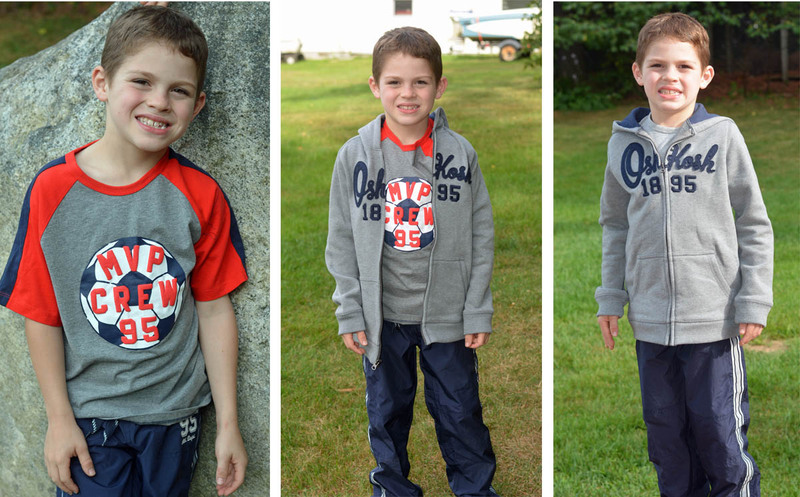 With a recent growth spurt he was in need of a new clothes for this upcoming school year. 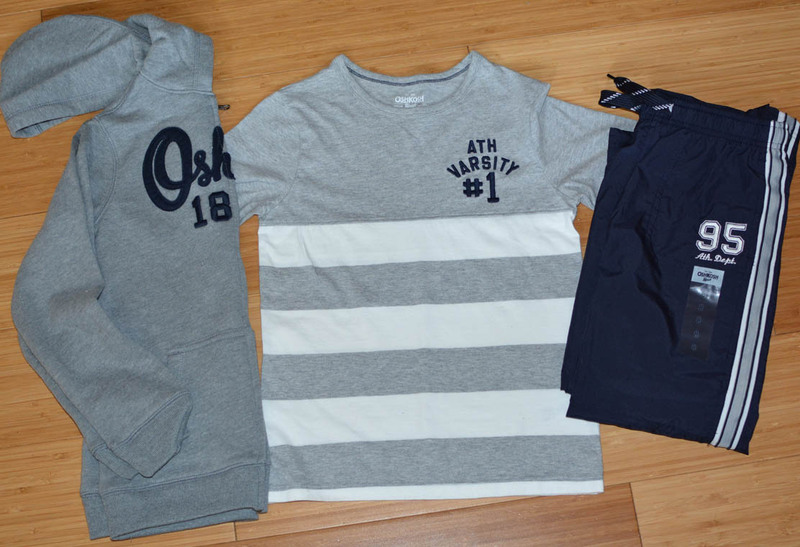 This past week we headed to OshKosh B’gosh, my go-to when it comes to school shopping for stylish children’s clothing. I can always count on them for having fun and affordable clothes. Their adjustable waist jeans are a favorite for both of the boys, and Jonathan loves their active pants, he wore them weekly for P.E. class and hockey last year. Since Jonathan loves math and numbers, I gave him a budget and let him walk around and choose whatever he wanted. I’ve never seen him so excited to go clothes shopping. His first stop was for some new blue jeans, followed by activewear. This is at least the third year in a row that he’s been wearing the Jersey-Lined Heritage Active Pants, his red and orange pants that he wore for the past 2 years have recently been passed on to his younger brother. 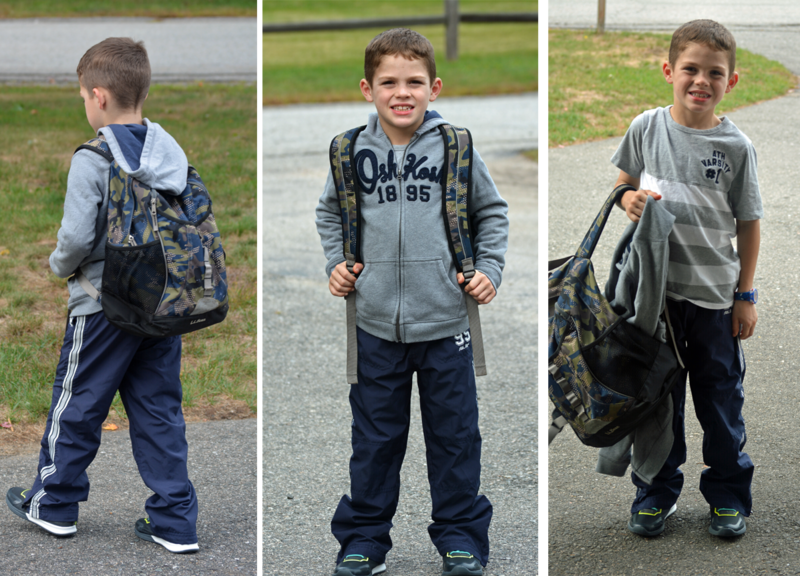 For $50 we were able to make a number of fun combinations using his favorite active pants. In addition to pairing well with the active pants, the shirts and hooded sweatshirt also style well with jeans. Stretch your back to school budget even more with a OshKosh B’gosh coupon for 25% off a purchase of $30 or more. Print the coupon to use in store or use Coupon Code: OKBG3136 for online purchases. Find a store near you by visiting the Store locator. Gift card, compensation, information and giveaway prize provided by client. All opinions are my own personal and honest thoughts. By entering this giveaway you agree to the Giveaway Rules. This giveaway will end on August 25, 2016 at 11:59pm EST. The winner will be chosen via Rafflecopter. The winner will have 24 hours to respond or a new winner will be selected. You must be 18 years or older. Open to U.S. residents only. I love their basics for kids! Perfect for back to school! I love shopping at Oshkosh for my grandsons. They have cute great quality clothes. I love Osh Kosh! They have the cutest clothing. Thank you for the chance to win. I love to shop at Oshkosh for my grandsons! They could both use some new fall clothing and I especially would love to buy them a lightweight jacket to wear. I really like their Jersey-Lined Windbreaker in Navy. I like the styles and high quality of Oshkosh. I like the pleated floral dress at Oshkosh for my daughter. Your son is a great model and very handsome. I love OshKosh B’gosh because their clothes hold up so well! Love OshKosh clothes, super cute and great quality. Oshkosh has a nice assortment of cute clothes for reasonable prices! I love the quality of Oshkosh, thee clothes are ver durable. I love Oshkosh! 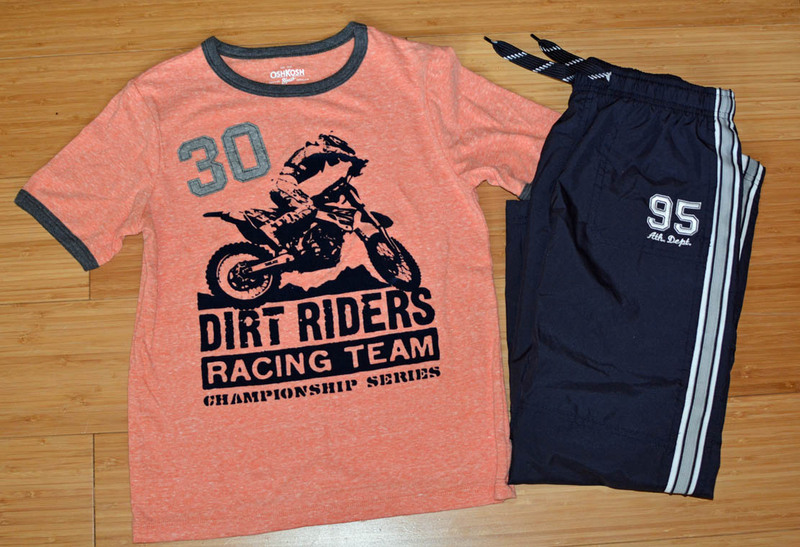 The have the best style for little boys! 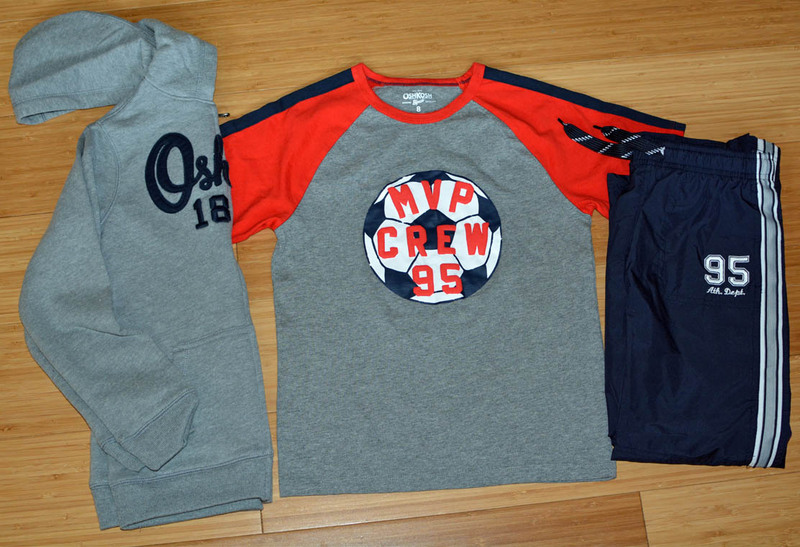 I love the Osh Kosh hoodies. I love the look of their clothes. I ordered my daughters first day of school outfit from them last year. 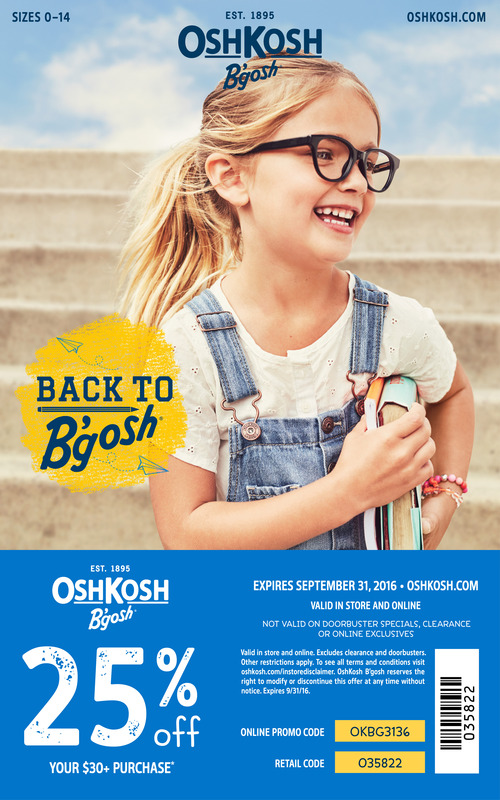 I’d love to win an OshKosh B’gosh gift card to use for some back to school clothing shopping. I love going shopping for clothes for my children and OshKosh is one of my favorite places! We just visited OshKosh last weekend for back to school clothes. They always have t-shirt designs my daughter likes. 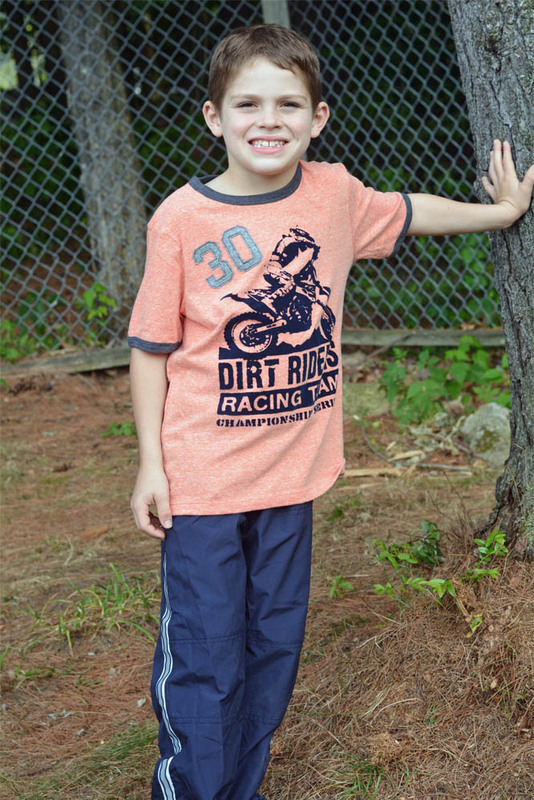 If you want great quality kid’s clothing you can never go wrong in buying Oshkosh. I love the TLC cat tunic and leggings for girls! Haven’t shopped at OshKosh B’gosh in ages, they have some really cute things I think my boys would love. I always bought Oshkosh B’Gosh clothing for my now grown 2 kids when they were young. 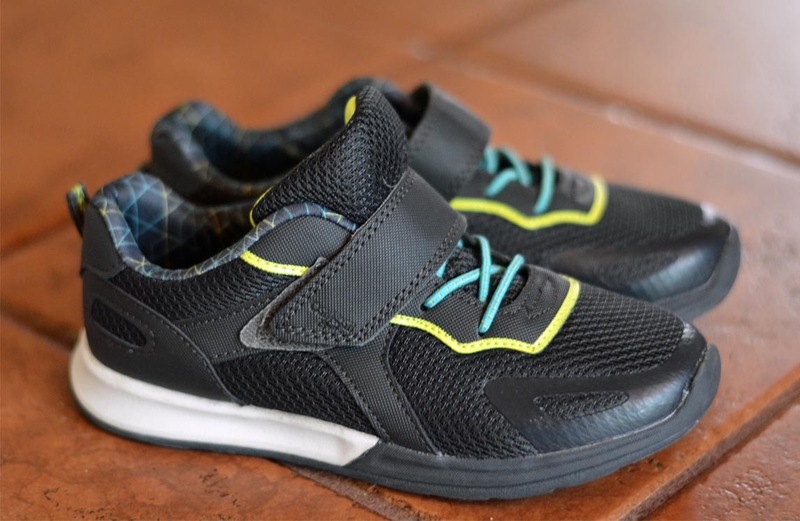 Now I buy them for my 2 granddaughters. The quality is excellent and I Iove their cute styles! They have very cute and stylish clothes. Especially love the dirt bike one! This would be so helpful for my kid who wears holes in the knees! My son would love some of these designs! thanks for the great review. I like all the pieces you got. this would be wonderful to win to get new clothes for my child. They have some really cute styles. Their clothes last forever too. Great quality! They have some great styles. Their clothes last forever too! Great quality! This would be perfect for back to school for my kids thanks for the opportunity. I would love to buy my niece some dresses and sandals! I like Osh Josh because I can always find a great deal and age appropriate clothes. I really love that their jean have the adjustable waist band!!! I have a skinny kiddo that unless the pants have this, it doesn’t fit right! I love OshKosh denim and overalls because they hold up well with my toddler’s business. I have been buying Osh Kosh clothes for my kids for the last 20 years and I have never been disappointed. What cute clothing items! Looks great! I love the zip hoodie!